Gripper system with built-in functions in our material standard PA. 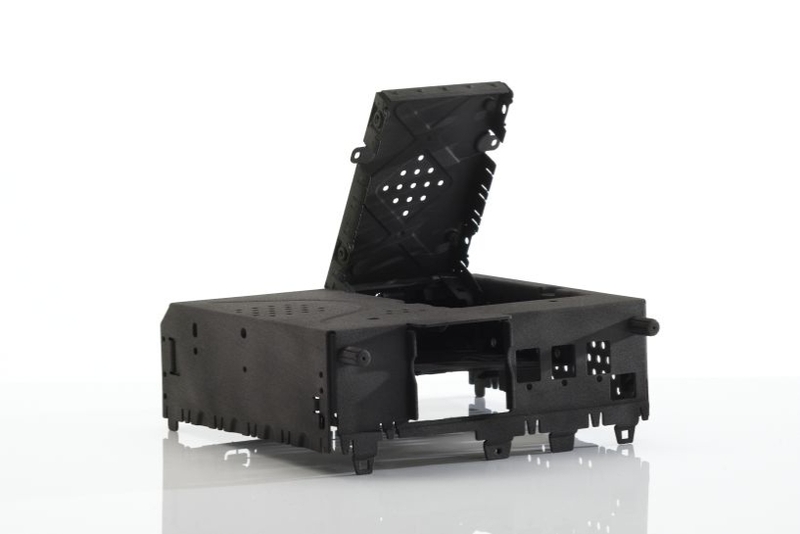 Components made of glass fiber reinforced PA12 for high loads. 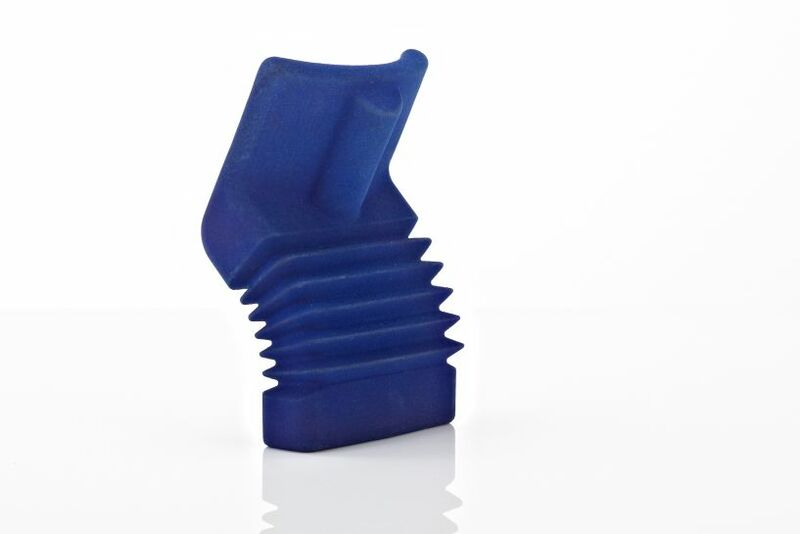 Elastomeric components made of TPU or Duraform Flex for functional testing. Components made of PA11, especially for integral hinge. The SLS method is also a technology in which the part is manufactured in layers. 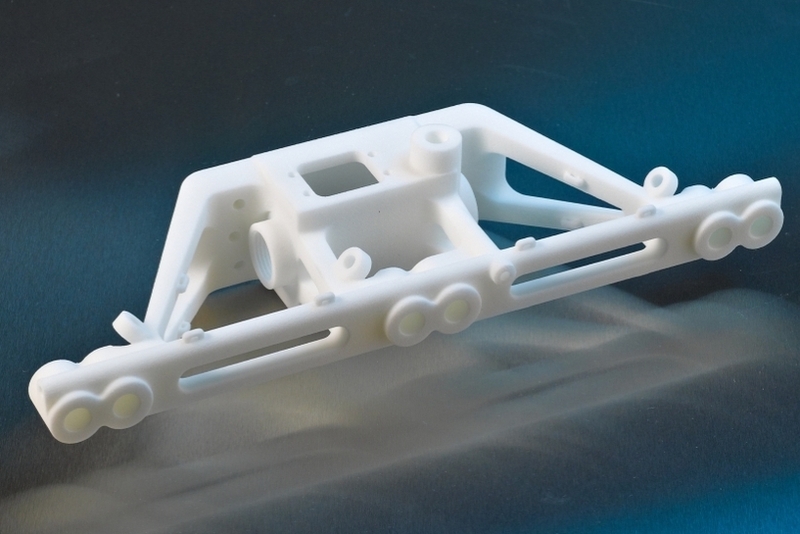 In this case the parts are produced by melting powdered thermoplastics with a laser. This method is particularly suitable in order to produce functional, mechanically loadable prototypes to which no special demands are made to the surface. The material properties of the components correspond to almost 90% of the later series parts. 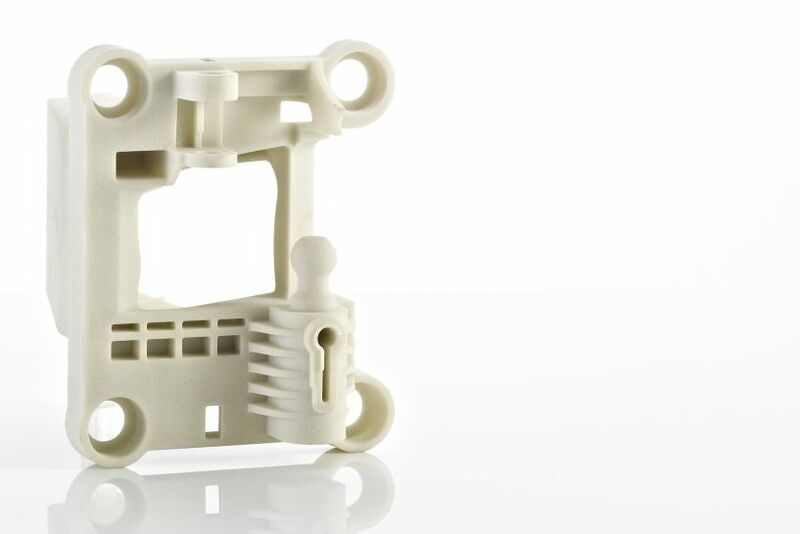 Five different materials, from the TPU to filled polyamide, partially biocompatible per USP Class VI, are available here. Our machines have a maximum build space of 340 x 340 x 600 mm and use a layer thickness of 0.1 to 0.15 mm.